Actor banna hai?... Toh Yeh Baatein Jaanna Bohot Zaroori Hai! Title: Actor banna hai?... Toh Yeh Baatein Jaanna Bohot Zaroori Hai! This book is for all those aspiring to be actors, who are confused and need direction to fulfill their dreams. Their needs go unheard, and they experience lack of motivation. They invest a lot of their time and money, and for most of them, it goes in vain. 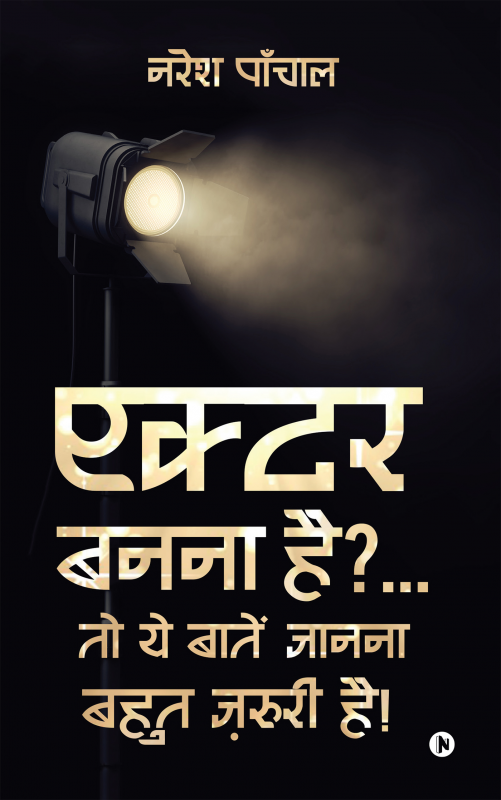 The chapters in this book will help budding young actors get all their queries answered. It will guide them as a map does, and prepare them to face challenges and consequences on their way to success. This is a helpful handbook for aspiring actors with additional tips to grow as an actor. Naresh Pachal is from Sultanpur, Kota (Rajasthan) and now has been residing in Mumbai for 10 years. He is a Professional Acting Coach. He has done his B.Sc. (Maths) and completed his Teacher’s Training course (B.Ed). During his time in college, hehas worked as a casual compere at Aakashwani Kota. He has worked as a reporter in Rajasthan Patrika newspaper for nearly 9 years. He resigned from there as a Senior Sub Editor (Senior Reporter). He moved to Mumbai on 2007 and joined the Kishore Namit Kapoor Acting Institute.That is where he started his journey as an Acting Coach. He has been Dean of Faculty nearly for 5 years. He has experience of around ten years as a trainer. Now, he has his own acting studio in Mumbai. He also guides aspiring actors through his Facebook page.